The United States today supports the largest, most varied nonprofit sector in the world. It is more broad in its reach, better organized, and better funded than any of its counterparts anywhere else on Earth. According to government figures, there are an estimated 2.3 million nonprofit groups in the U.S. Of these, about 1.63 million are recognized as tax-exempt, and 1.08 million are registered as 501(c)(3) charitable organizations. The IRS recognizes some 400 distinct cause areas in which these entities operate. In addition to its substantial social and political influence, it holds considerable, growing, and unprecedented economic clout, responsible for 5.4% of the nation’s Gross Domestic Product in 2014, and accounting for over ten percent of the country’s private-sector workforce. But where did this vast and complex part of the American scene come from? What were its origins; how did it develop; what made it the force it is today? These are the questions I spent the last two years researching, and it is a fascinating story. How, for example, did Martin Luther and Queen Elizabeth I of England impact what became the American nonprofit realm? What did the Pilgrims have to do with it? Why did figures no less important to our history than George Washington and James Madison warn against the formation of private charitable organizations? What ground-breaking role did the Salvation Army play in the activity and development of the sector? Where did the charitable deduction come from? What was the murky origin of the 501(c)(4)s? All these questions and more, I am pleased to say, are covered in my latest book, Braided Threads, being published by Routledge and due for release sometime in the first half of 2018. I believe that, aside from being an interesting story, an account of the nonprofit arena’s origins, how it developed, what impacted it, and how it responded to challenges and evolving circumstances, can give valuable context to the work of both nonprofit professionals and those preparing for a career in the field. It offers a longer perspective than is often immediately possible to appreciate when we’re busy reacting to news and events of the day. Going beyond the history, however, the book also takes a look at what I believe are the most important trends in the sector today looks forward to how they may influence and change the nonprofit arena in several important ways. 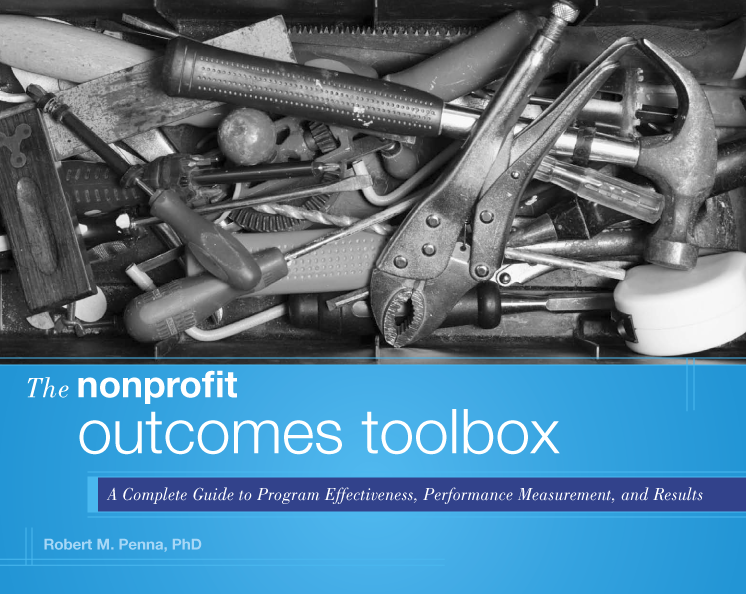 I have been away from these pages and the Nonprofit Outcomes Toolbox for a while. Now you know why: I was completing the work necessary to get this new volume ready for publication. I will keep visitors to this space informed regrading production progress and will hopefully soon have a release date to share. Meanwhile, I invite you to get back to me on Braided Threads and, if you have questions, ask them. I tried to be as comprehensive as possible, covering events from Ancient Rome to the present. The book is well documented (there are over 620 footnotes! ), written in an approachable conversational style, and, I hope, will be both an informative and engaging read.